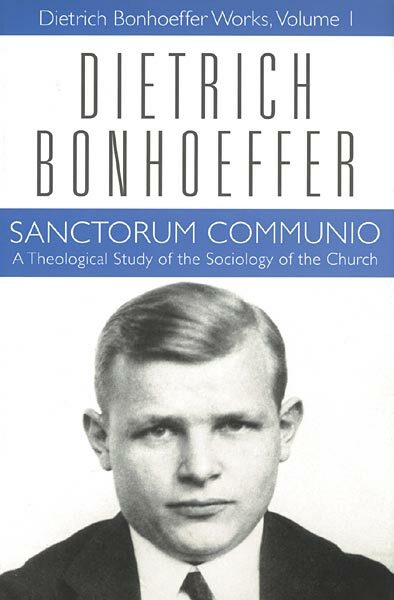 Sanctorum Communio was Bonhoeffer's dissertation, completed in 1927 and first published in 1930. In it he attempts to work out a theology of the person in society, and then, particularly, in the church. Along with enlightening us about his early positions on sin, evil, solidarity, collective spirit, and collective guilt, the volume unfolds a systematic theology of the Spirit at work in the church and what this implies for questions of authority, freedom, ritual, and eschatology. Here is offered the complete text in translation, annotated by the German and American editors. The historical context is explained and textual commentary is provided in a Foreword and Afterword. Dietrich Bonhoeffer was a German Lutheran pastor and theologian who lived from February 1906 - April 1945. He received broad recognition for his writings on Christianity's role in the secular world. Bonhoeffer was also famous for his staunch resistance to the Nazi dictatorship, which ultimately cost him his life in a Nazi concentration camp.